Crazy Mocha, with more than 30 locations, is set to grow even more. Photo by Tracy Certo. Kiva Han Coffee, a distributor and wholesaler located in Cranberry, has bought the local coffee chain Crazy Mocha. What does that mean for Pittsburgh coffee drinkers? Potentially a lot of good things. The chain’s founder, Ken Zeff, will continue as head of retail and director of operations and Crazy Mocha’s 29 current locations (nearly all in the Pittsburgh area) will remain open. Expect new locations as well, plus an expanded customer loyalty program and more flavorful coffee thanks to a new approach to roasting. Kiva Han has served as Crazy Mocha’s roaster and distributor since 2007. Now, as the parent company, they can help Crazy Mocha begin roasting their own coffee and fine-tune the recipe to create a better flavor. The plan also includes more training for baristas and more communication with customers about exactly what they want. 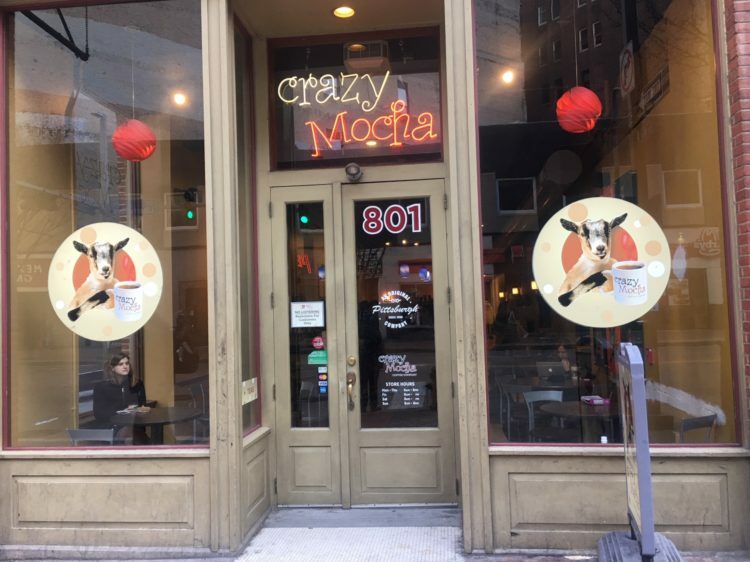 Along with working on a new roast for its current locations, Crazy Mocha will open a new shop late this summer in the Cuda Building in Braddock. That 5,000-square-foot location will offer conference rooms that the public can use for meetings or for working collaboratively. 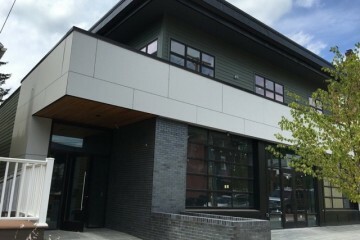 It will also be home to a central kitchen where the company will make the pastries and sandwiches that will be sold at their other locations. No word yet on whether the production facility at that new location will be filling new positions or using current staff members. Crazy Mocha currently employees about 150 people. Beyond Braddock, they plan to continue opening locations in other underserved neighborhoods. The company will still be based at their Baum Boulevard headquarters in Friendship. But while some things like the headquarters location will stay the same, one surprising detail may change: That smiling goat that has been Crazy Mocha’s logo since Zeff acquired Dancing Goats Coffee Company in 2000 and changed the name. “Stay tuned,” says Wethli, on whether the chain’s signature symbol is getting a makeover.